A stay at AquaPark Residence places you in the heart of Zakopane, steps from Zakopane Aqua Park and 7 minutes by foot from Krupowki Street. Featured amenities include express check-in, express check-out, and a 24-hour front desk. Self parking (subject to charges) is available onsite. 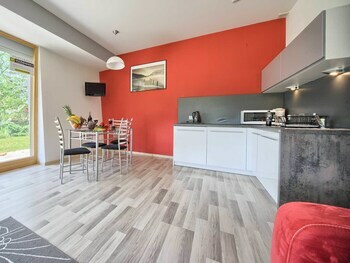 Located in Warsaw (Old Town), this apartment is within a 15-minute walk of Old Town Square and Warsaw Uprising Monument. Featured amenities include multilingual staff and luggage storage. With a stay at 4UApart - Apartment suite Safari in Swinoujscie, you'll be within a 15-minute walk of Christ the King Church and Museum of Marine Fisheries. Free self parking is available onsite.